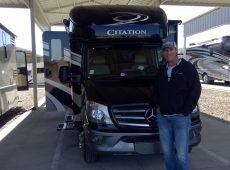 Excellent RVs and the best prices in the US are at Motor Home Specialist in Alvarado! Jordan Buckley was my salesman and he did an excellent job throughout the sales process. Roy also did an excellent job walking us through the features in our new RV, which by the way, we especially like the layout of this Entegra Emblem. 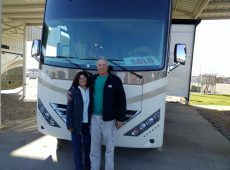 The quality of service we received at MHSRV was excellent and we will absolutely be sending our friends and family here for their future RV needs. Decided to purchase at Motor Home Specialist primarily because of the price. It was the best we found and also the long distance convenience for purchasing. Really like the side mirror cameras on the Thor Chateau. Marty had very good communication throughout the sales process. The RV was easy to buy and pick up long distance. 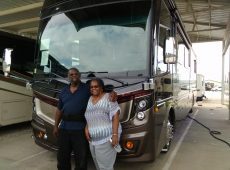 Service overall was very good at Motor Home Specialist. You had exactly the floor plan, color, and options we were looking for in a Dynamax DX3. We really like the extra ½ bath, big kitchen, master bedroom, and tow capacity in the unit. Brandon was very good and made things easy for us. Juan performed a smooth walk through. 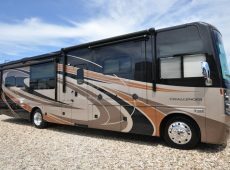 We will be sure to send our friends and family your way for their RV needs. 5 stars for MHS! They have a great selection of coaches on their lot. We love the Entegra quality, fit and finish of our new unit. Brandon and Mark made the transition easy and seamless. We chose to shop MHSRV because of their competitive prices and no hidden fees, plus they had the model we wanted. We really like the theater seats in our new Fleetwood Flair. Don Jones made our experience great, easy and pleasant. Steve Rogers was excellent and very thorough, he made the walk-thru awesome. Having the ability to stay overnight to learn more about it before we hit the road was appreciated. I would rate MHSRV 5 stars! 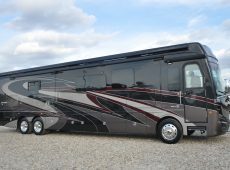 They have very competitive prices and a very good RV selection. John and Jordan were both excellent to work with. We received very good service overall and we will be referrals of Motor Hoe Specialist moving forward. 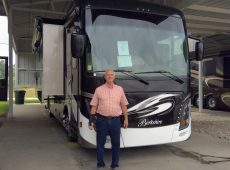 We chose to purchase our 2019 Dynamax Force from Motor Home Specialist because of the excellent service we received and the overall price of our new coach. This Force had all we wanted for a fair price. Justin was our sales person and he did an excellent job throughout our experience. Juan delivered a very smooth walk through on the new RV. Overall it was an excellent experience and thanks for everything. The quality of RVs at MHS are very good! 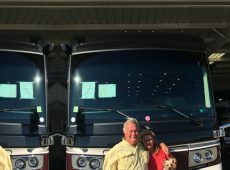 Ted did a really good job getting us sold on our dream RV. Lee did a great job during our walk-through. We will be recommending MHS to our friends and family. 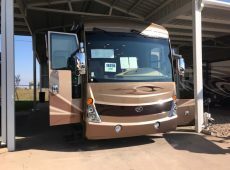 Prices, availability, and selection of the RVs at MHS are very good. David and Stephen made the whole thing great. From the first phone call everything was great dealing with Ted by email, phone, and text. Very easy to communicate with even though I probably aggravated him because of my excitement! Then getting financing from Chris was done the same day and so easy! Made the stressful, scary buying experience one I would do over every day because them made it so seamless! Marty and Omar were both great. They made it an easy deal. Excellent place to visit, browse and buy. Great folks all around. Best prices. Honest. 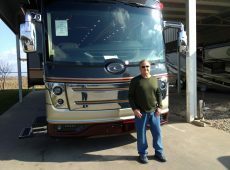 I have recommended Motor Home Specialist to hundreds of my friends! Jordan has the time and experience to show and evaluate the coach. This is the second one I have purchased on the site, unseen. Nowhere else in the world would I do that! 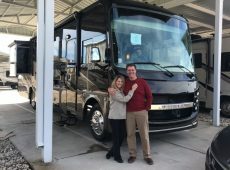 We recently purchased our 2018 Fleetwood Discovery LXE from Motor Home Specialist through Buck. We chose to work with MHS for the great prices. Buck and Matt were very good at getting us through this purchase. We will be recommending! 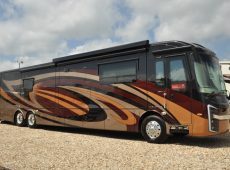 We chose Motor Home Specialist because of their unbeatable prices! 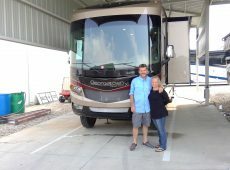 Their quality and selection of RVs is great. Brian Kelley made the sales process easy. Roy was very thorough during the walk-through. 5 stars! 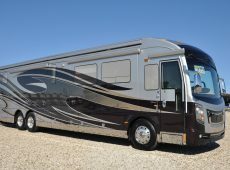 MHSRV has competitive prices, Five Star RV’s, and great service. I really like the QD3200 generator, phone sync controls, and floor plan in my new coach. Ted Eaton and Martin were both great! I will recommend MHSRV to all my friends and family. The website was very easy to use. I loved the “no pressure” sales. The closing procedure was very easy, prices at MSHRV are the best around. They have a very good selection, and offer outstanding service. I purchased a Thor Quantum from Rodney. I really like the roominess, inside finishes, and exterior TV. Roy was very informative during my walk- through. I will absolutely recommend MHSRV to all my family and friends. 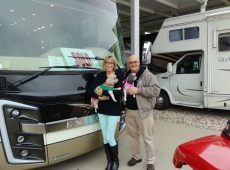 I chose Motor Home Specialist because of the prices, which are better than most, and for the hospitality of the entire sales team and staff. Staven Corey did an excellent job throughout the sales experience. Lee completed an excellent walk through. Even the finance portion of my interaction was excellent. 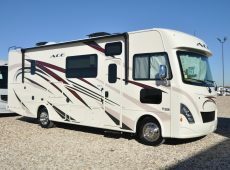 I purchased an American Coach Revolution and especially like the tag axel, high HP, and interior storage in this particular unit. As I mentioned, the hospitality at the dealership was fantastic. I will absolutely refer friends and family to Motor Home Specialist. MHS has nice people to deal with; everyone was very helpful during my experience. It was actually the good prices and overall customer reviews that had me purchasing here. I really like the 3 room layout and cabinet space in my new Thor Challenger. Jimmy Campana made for a great sales experience. The finance portion of this experience along with the final walk through with Martin were both great. The MHSRV website was really helpful as well. Prices at MHS are much lower than the competitors. They have a very good / excellent selection of quality coaches. 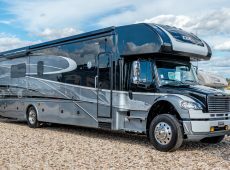 I purchased a 2018 Fleetwood Bounder and especially like the loft, 7k watt generator, king bed and the half bathroom. The sales experience with Marty was not stressful in any way. Additionally Martin was patient during the walk through. Excellent service at Motor Home Specialist. 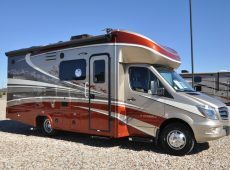 It was time to get a larger RV, so I purchased from Motor Home Specialist. They have good prices and very good service. I really like the structure and floor plan in my new Fleetwood Discovery. Additionally, Staven and Arturo were both very good doing business with. Amazing experience! Thanks for lunch and for allowing us to stay the night and for a loaner car! MHS had the vehicle we wanted. 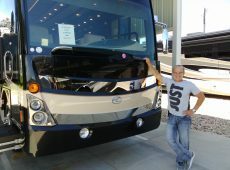 They have very fair prices and an awesome selection of coaches. 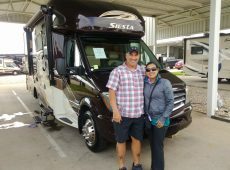 We purchased an Isata 3 Series and really like the beautiful attention to detail in this new RV. 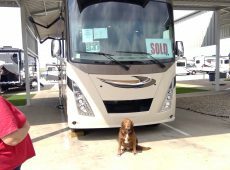 Carl helped to make the sales experience quick and easy and Collin did an excellent job walking us through the new RV. 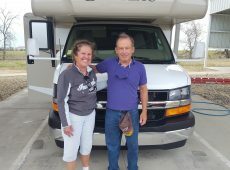 We received excellent service during our experience and will absolutely refer our friends and family to visit MHS for their motor home needs. 5 stars for MHS. It was the great prices and they had the RV we wanted in stock. We purchased a 2018 Road Warrior and really like the 3 A/C and full body paint. Ted Eaton in sales was very easy to work with. The MHSRV.com website was also very helpful when making our decision to purchase here. We will be referrals of this business. 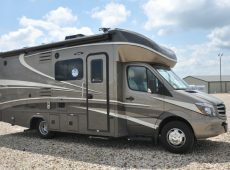 I purchased a Thor Miramar from Motor Home Specialist mainly because of the fantastic price. 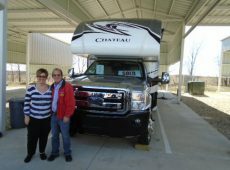 They have a great selection of RVs and great overall service. I really like the bunks and 2 baths in the new Miramar. Calvin in sales was very professional and courteous. The finance portion of the interaction went smoothly, and Stephen did a detailed walk through of the Miramar. Great service at this business. Will absolutely be a referral!!! 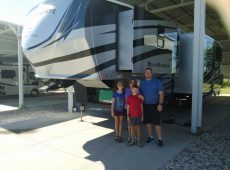 Great experience at Motor Home Specialist; we will be back in 2 years or less. 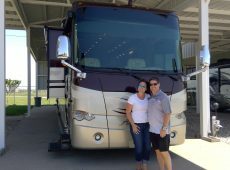 We purchased a Forest River Sunseeker and like all the options and features of the RV. Prices at MHSRV are great along with the great selection of quality coaches. The sales interaction and final walk through with Lonnie went perfectly. Outstanding prices at Motor Home Specialist! They had exactly what we wanted. We especially like how spacious the Entegra Insignia is along with its great floor plan. Rodney in sales was excellent and right to the point. He was knowledgeable on the Entegra. 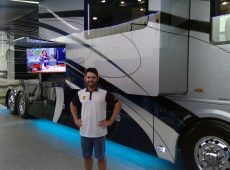 We were surprised how much time Matt spent with us during the walk through of our new RV. We drove 1,000 miles and it was worth every penny spent. 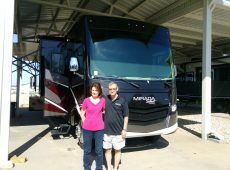 We were impressed with your team and will recommend MHSRV as the best experience in buying an RV (this was our 6th RV). From the airport ride to lunch was super. Great people and prices at MHSRV. 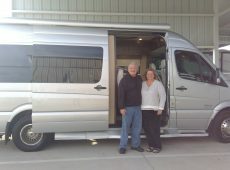 We decided to purchase with motor home specialist mostly because of their people and prices. They offer the best prices on top notch RVs. Went with the Dynamax Isata which is the perfect size for 2 people. Carl made the sales process smooth. 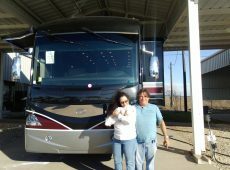 The finance portion of our interaction was quick and easy and Omar did a complete walk through of the new RV. I will recommend MHSRV to family and friends. Thank you! We are liked…. and a little scared but mostly liked! We primarily purchased here because of the MHS reputation, their excellent inventory and very fair pricing. The entire sales process with John was painless! Collin was very thorough during the walk through of our new RV. All around, 10 stars for service! I am a previous purchaser of Motor Home Specialist. They have the best available prices! They offer an excellent selection of quality coaches. I really like the new technology and 600 HP features of my new American Dream Diesel Pusher. Jordan and Lee were excellent to work with. MHS has a very clear and efficient staff. The American Dream is a beautiful coach. I will absolutely recommend MHS to friends and family. 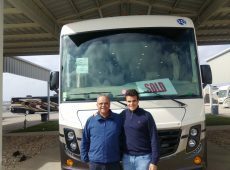 MHS had a good price and the RV model we were looking for, which is why we initially decided to do business here. MHSRV.com was also helpful. Marty and Roy both did a great job during sales and the walk through. We will be referrals of MHS. 5 stars. Chose MHS becuase of their prices, which are the best, and their reputation. MHS offers an excellent lineup of quality coaches. Kris was easy to purchase with and Arturo was excellent . The MHS website was also helpful. Excellent serviced received at Motor Home Specialist. Will tell friends and family about you. Offered the best deal and excellent service. Prices overall are the lowest at MHS. Brian did an excellent job throughout the sales interaction. 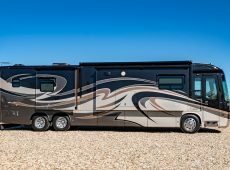 I purchased a Thor Hurricane and I especially like its outdoor kitchen and king bed. Everyone was courteous, helpful and knowledgeable. Matt and Omar were able to answer all questions during the final walk through. From Charlie to Mark -- awesome! Purchased w/ MHS because of their excellent prices and low pressure sales. Of all the features on the Thor Four Winds, we really like the diesel generator and engine. Kris was easy to work with and Lee was very thorough. Thank you for making our 1st time buying experience easy! Excellent service at this dealership! The area for customers to stay in was awesome! Everything and everyone was awesome! Thanks for being there. Every time we had some little something to fix it was fixed immediately. Steve, Matt & the rest were GREAT! 5 Stars! MHS had the model and make we wanted, which was the Monaco Diplomat. 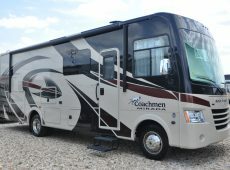 We really like the corner fireplace, furniture, floor plan and outside color of our new coach. We will refer friends and family to MHS. Well, we bought one!!! MHS has excellent prices, excellent service and an excellent selection. 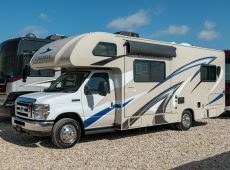 We really like the king bed, rapid camp, and 1 1/2 baths in the new Thor Hurricane coach. Mitch was terrific throughout the sales process and Michael was thorough during the walk thru. Even the ease of use of the MHS website was helpful when making the decision to purchase from here. 5 stars for MHSRV. We'll recommend them to friends and family going forward. Went with MHSRV because of the cost and value. 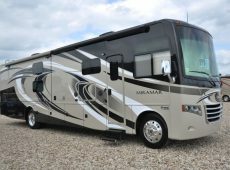 They have extremely fair prices that are lower than competitors and an excellent selection of coaches. 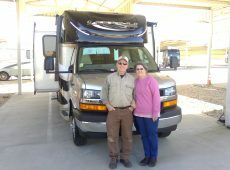 It was the affordability, ease of owning my first RV, and the simplicity of the operation at MHSRV that had me making my purchase. Calvin was easy to work with and offered a low stress sales experience. Roy made the walk-thru process simple. Excellent process from start to finish at MHSRV. They have a very helpful staff, and amenable to all of my questions. 5 star rating for MHSRV. 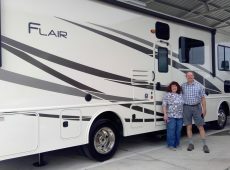 The main reason for choosing Motor Home Specialist was because of price. 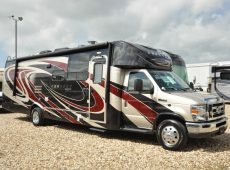 They have excellent prices and excellent motorhomes. Outstanding service as well. The walk through process was very good and thorough. Roy performed the walk through. The sales experience with Brian was excellent! Brian Kelly is fantastic. He was never pushy. He was very patient, kept in touch, answered all my questions. An outstanding person to deal with. 5 star rating for Motor Home Specialist. 5 star rating. Worked with Carl in sales at MHS. Chose MHS because of the coaches pricing and the sales contact through the internet. Excellent selection and excellent prices here at MHSRV. The Entegra Aspire's finishes are tasteful and we really like the spartan chassis. Ted, our sales person, made good contact through email and offered quick responses. Stephan was also helpful and informative during the final walk through of the Entegra Aspire coach. Will be a referral of MHSRV. Chose MHS mostly because of price. Service I received during my interaction was perfect. Will absolutely refer friends and family to MHS. Best buying experience ever!! Decided to purchase from MHSRV because of their unmatched prices and the number of excellent, quality units. Their website, presentation with prices, and the prompt replies to questions also helped to make the buying decision with MHS easier. Great inventory and prices. Most of all, MHS has great folks who truly care, and they have outstanding pricing. The quality of their RVs are out of this world. Their customer service is second to none. They have great, caring people to assist you throughout the purchasing experience. Marty made the process so easy. Even the closing process was excellent - everything was prepared before we arrived. The walk through was fabulous and thorough. As far as being referrals of MHSRV, we already do refer our friends and family here. We are totally blown away! We are so very fortunate to find you. God bless ya'll. 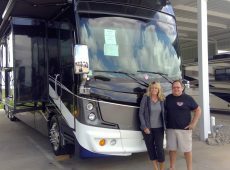 We chose Motor Home Specialist because of their excellent inventory and pricing. Service here was excellent. 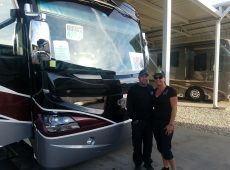 Both Marty and Chris did an excellent job assisting us in the purchase of our new coach. We especially like the theater seats in our Thor Challenger. MHS had a great coach - the American Heritage. 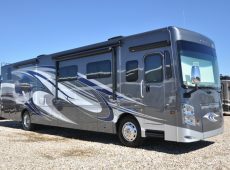 All of their RVs are top notch and at great prices. Steve gave a 10+ walk through of the coach. Service overall from here is a 10+. Decided to do business with MHSRV because of the cost and the options readily available in the coach. 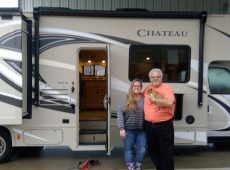 Purchased a Thor Chateau and really like the outdoor kitchen, rapid camp, and lighting in the new coach. Rodney was easy to work with and Matt did an excellent job walking me through the new Chateau. Very good service at MHSRV.